In the modern day scenario, while there are numerous elements that play a role in the success of a retail business, the most essential element is to be responsive to customer demand and meet customer expectations. However this seems to be a challenging ask in today’s digital era as the consumer behavior and expectations are highly dynamic and constantly evolving. For the consumers of today, shopping is no longer just wanting to purchase products — they also demand entertaining, convenient and personalized shopping experiences. Add to this the complexity of handling multiple channels where customers can connect with the brand or shop from. Considering the shopping habits of today’s shopper it is clear that consumers themselves have dramatically changed. Technology such as the internet and social media have significantly expanded their horizons enabling them to consume more information, find a wide range of products and share about their experiences. Emphasis is on curated offerings that customers seek along with personalized product recommendations. Retail companies can find success by realizing, considering and understanding consumers’ shopping preferences and then using retail technology solutions to provide more personalized experiences. In order to continue meeting the demands of evolving consumer expectations, it is very important for retail owners to follow the shopper journey and then orchestrate information, pricing, inventory and promotions as the consumer moves through to the path to purchase. It is not just about delivering a personalized and seamless omni-channel experience, rather it is about being able to do it consistently. This is what retailers should seek to achieve in order to be able to stay in the game. It is important for the retailer to understand that each and every part of the shopping journey is important. Therefore they must not only focus on the purchase but also aspects like information gathering, opinion seeking, post-sales services, promotions and so on as the customer moves along their shopping journey. Importantly, the retail brand must be able to stay connected with the customer across the entire journey span, transcending multiple channels. Moreover the brand should seek to enhance their relationship with customer through constant engagement that is personalized and relevant to them. Retail business’ success lies in not only realizing that whether the customer purchases or not, every touch-point across the customer journey there is an opportunity for the retail company to meet its customer but also must be seized by the retailer and efforts should be taken to keep the customer positively engaged. With the right retail software, this is definitely possible to achieve. As mentioned above, retail is no longer about just the transaction between the retailer and customer. It is way deeper than that and retailers must go beyond their usual practices to reach that depth. As the modern day consumers are evolving dynamically, they are not just seeking to satisfy their material wants by purchasing products; they are craving experiences – experiences that will leave an impact on them and want them to come back and stay loyal to the brand. From the customers’ perspective, it is easier for them to stick with a retail brand that stands true to their expectations. Retailers must constantly look to create and deliver enriched omni-channel shopping experiences as well as ensure that these experiences are seamlessly unified and are specially curated for the customer. 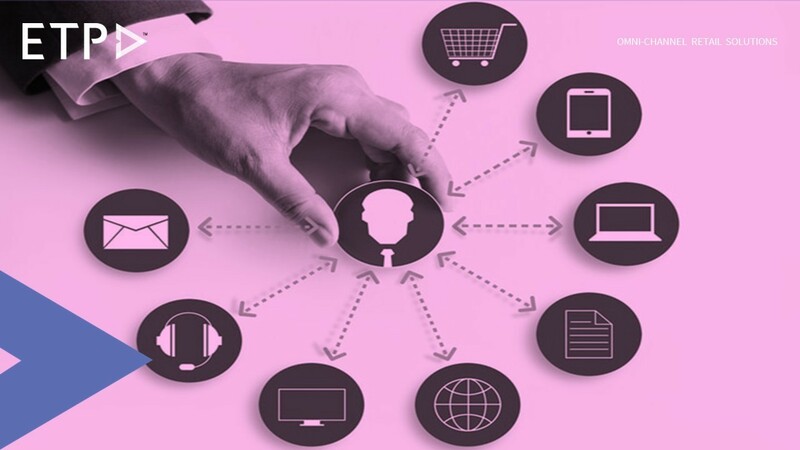 By creating these personalized shopping experiences across the customer journey, retailers will able to address the needs of their consumers on their own turf – eventually moving from shopping carts to the consumers’ hearts thus leading to sales, positive experiences and brand advocacy. The right mix of retail technology and innovation will make it possible for retailers to achieve success.